Chameleons are a very specialized group of lizards most known for their ability to change color. This trait is most often used for camouflage to protect it from its predators. 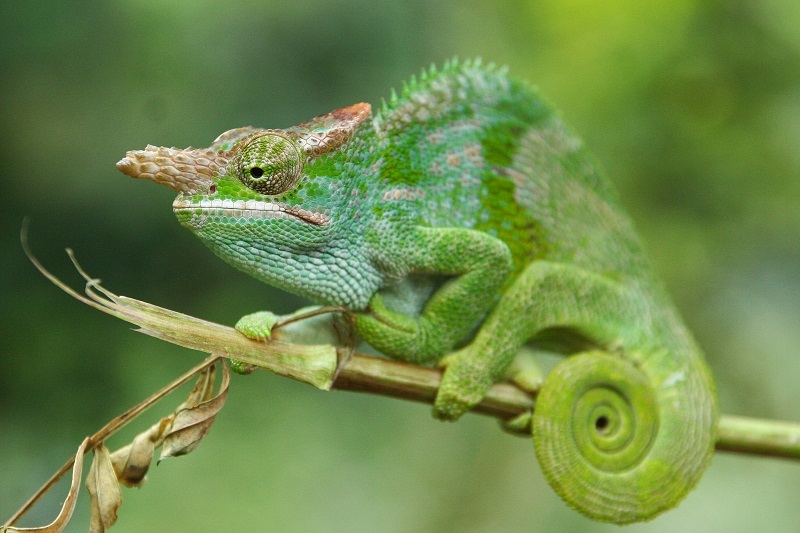 Color change is also used to control body temperature and to communicate with other chameleons. Chameleons also have very distinctive eyes which they can turn independently and focus on two different objects at the same time. Almost like they have eyes in the back of their heads. This makes them pretty hard to sneak up on. Chameleons are found in warmer parts of the world be it a rain forest or a desert. They also make great pets.